Adequan®/USDF Year-End Awards are awarded in the categories of vintage cup, adult amateur, adult amateur musical freestyle, junior/young rider, para-dressage rider of the year, dressage sport horse breeding horse of the year, dressage horse of the year, materiale horse of the year, all-breeds, musical freestyle, musical freestyle challenge, dressage breeder of the year, dressage sport horse breeding breeder of the year, USEF four-year-old, and FEI five and six-year-old. The USDF competition year is October 1 through September 30. For more information about our year-end awards, visit the USDF Member Guide. To check awards standings, go to our preliminary/final awards standings page. Designed to recognize riders age 50 and older in two divisions, adult amateur and professional. 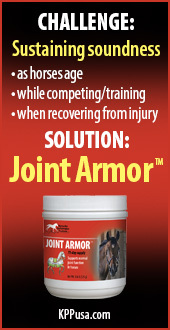 This award category considers horse and rider a pair for each level (Training through Grand Prix). To declare for the Vintage Cup Awards, simply click on the button and complete the required information. You may also notify USDF via email if you would like to be declared for the USDF Vintage Cup Awards or call 859-971-2277 for more information. Once "declared", eligibility will be maintained until USDF is otherwise notified. Visit the USDF Member Guide for more information. These awards are to recognize adult amateur riders as defined by USEF. Horse and rider are considered a pair for each level (Training through Grand Prix). Visit the USDF Member Guide for more information. These awards are designed to recognize adult amateur riders, as defined by USEF, in musical freestyle. Horse and rider are considered a pair for each recognized level. Visit the USDF Member Guide	for more information. Designed to recognize juniors and young riders as defined by USEF (status determined on September 30 of the award year). Horse and rider are considered a pair for each level (Training through Grand Prix). Visit the USDF Member Guide for more information. 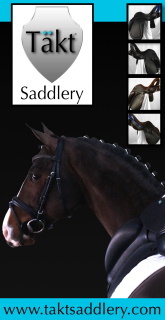 Designed to recognize dressage para-equestrians. Horse and rider are considered a pair for each grade level (I through V). Visit the USDF Member Guide for more information. Designed to recognize horses that have exemplary scores throughout a competition year in dressage sport horse breeding classes, these awards are presented in the following categories: fillies of current calendar year, colts/geldings of current calendar year, yearling fillies, yearling colts/geldings, two-year-old fillies, two-year-old colts/geldings, three-year-old fillies, three-year-old colts/geldings, four-year-old and older maiden and yeld mares, four-year-old and older broodmares, and four-year-old and older stallions. Visit the USDF Member Guide for more information. USDF’s most prestigious honor, the dressage horse of the year awards recognize horses that achieved high scores throughout the competition year at each level, Training through Grand Prix. Visit the USDF Member Guide for more information. These awards were implemented to recognize horses’ outstanding achievement in materiale classes throughout the year. Awards are presented in the following categories: three-year-old fillies, three-year-old colts and geldings, four- and five-year-old mares, and four- and five-year-old stallions and geldings. Visit the USDF Member Guide for more information. Awarded to horses who have achieved the required freestyle scores. Visit the USDF Member Guide for more information. Awarded to horses who have achieved the required freestyle and non-freestyle scores in a competition year. 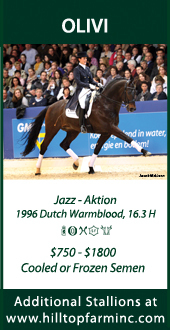 Visit the USDF Member Guide for more information. Designed to recognize four-year-olds riding the USEF Four-Year-Old Test. These awards are given annually. Visit the USDF Member Guide for more information. Designed to recognize five-year-olds riding the FEI Five-Year-Old Test. These awards are given annually. Visit the USDF Member Guide for more information. Designed to recognize six-year-olds riding the FEI Six-Year-Old Test. These awards are given annually. Visit the USDF Member Guide for more information. Designed to recognize USDF breeders, these awards are presented to breeders of horses ranked in the Dressage Horse of the Year and the FEI and/or USEF young horse year-end awards. Horses will be ranked in each level, and points will be assigned based on a point system. Visit the USDF Member Guide for more information. Designed to recognize breeders of dressage sport horses, these awards are given to breeders of horses ranked in the Dressage Sport Horse Breeding and Materiale Horse of the Year awards. Horses will be ranked in each level, and points will be assigned based on a point system. 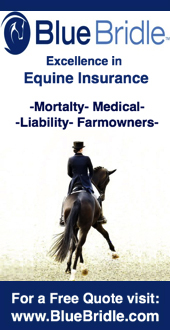 Visit the USDF Member Guide for more information.